On Friday April 12th, Oceanside Fire crews and community resources met with displaced families from the 3 alarm Division Fire and provided them with gift card donations from the Oceanside Firefighter's Charity. The families were taken to Kohl's for a shopping spree and then Dave and Buster's for an afternoon of games and dinner. This is only a small example of how the Oceanside community gets together to support those in need. Thanks to Oceanside Unified School District, Transformational Consulting, Oceanside Parks and Recreation Department, and our local Target, Walmart, Kohl's, and Dave and Buster's. 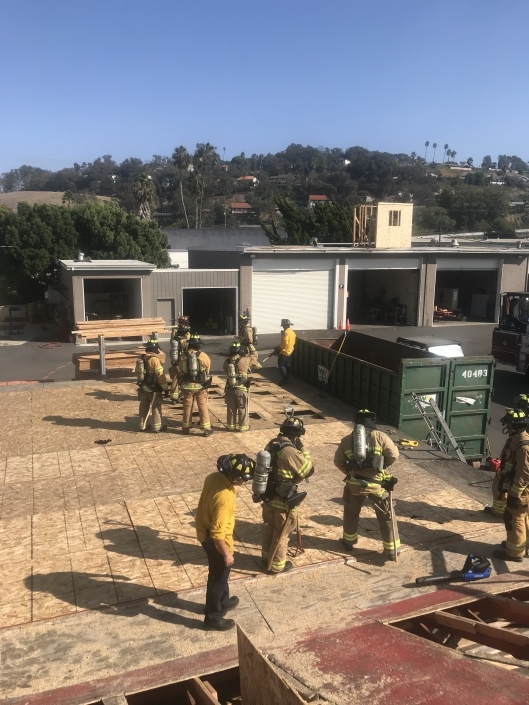 Your Oceanside Firefighters were dispatched to a report of a commercial structure fire with OPD units on scene stating they had heavy smoke coming from the building. On arrival, Engine 217 reported heavy smoke coming from large roll-up doors of an automotive repair business. The crew made quick access and were able to knock down the fire. The fire had started in an interior office within the garage. The fast action of the fire crews saved the building and contents from significant and costly damage. Thank you our heroes. 🙏🏼 Be safe always. WELL DONE . THANK YOU..
Oceanside Firefighters Association asks you to support our brother in blue. Thank you @vistafirefighters for hosting this event. Please come and support this strong officer. The Oceanside Firefighters Association would like to welcome 7 new members from Oceanside Fire Academy 14. Oceanside Firefighters are unique. We are the only Fire Department in our zone that holds full fire academies for our new hires. New hires spend a minimum of 8 weeks full time additional training making sure we are ready to serve the public to the highest standard. Training starts with Physical Conditioning that tests the employees ability to perform under the physical and mental stress the job demands. 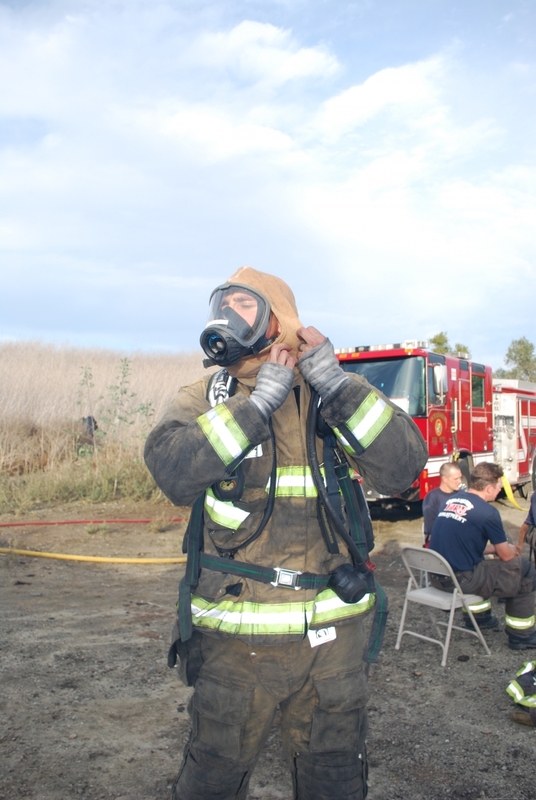 Training includes three main disciplines: Hose, Ladders and Ventilation. Structural Firefighting, Wildland Firefighting, Confined Space, Rope Rescue, Swift Water, Vehicle Rescue, Live Fire Operations and Paramedic Skills are just some of the other required performance topics that our Recruits are expected to learn and know. This is only the start of there continued on-the-job training. Congratulations on your success as our most newly graduated academy! 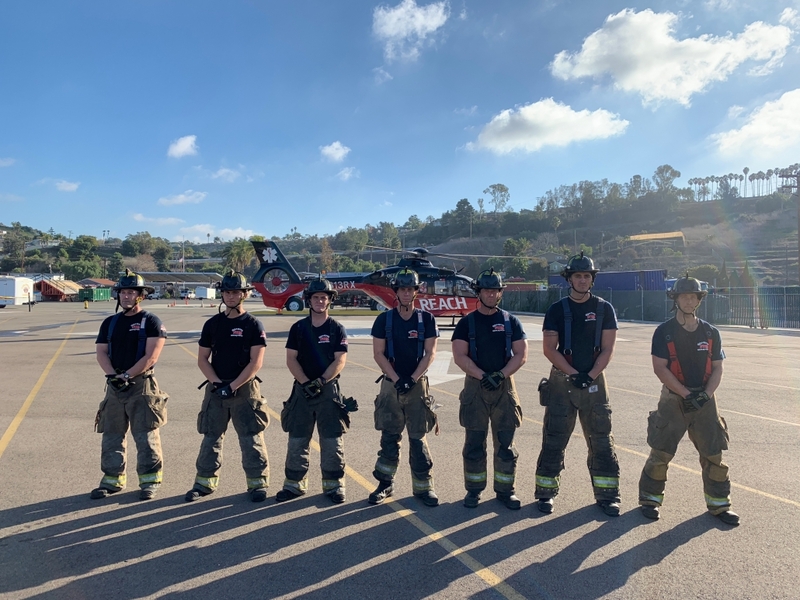 The Oceanside Firefighters Association, IAFF LOCAL 3736, is a union membership of roughly 100 individuals who work as firefighters, engineers and captains with the Oceanside Fire Department. Although a separate entity than the Fire Department, the OFA works collaboratively with the fire department administration, operations and prevention to promote safety and fire prevention within the community. The OFA is proud of our Oceanside community and hosts multiple fundraisers to support community organizations including the annual charity golf contest, surf contest and our pancake breakfast during harbor days. Proceeds from all of these events are donated back to our community organizations. 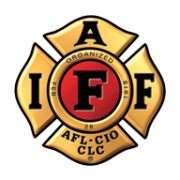 As members of the International Association of Firefighters and the California Professional Firefighters, the association is active in the political arena at the local, state and national level to preserve the safety and welfare of its members.